Want to know which organic foods provide the most organic bang for their buck? You’re not alone: in a time where every food dollar counts, many of us want to be sure we are investing wisely in foods that deliver a maximum benefit for the added cost that organic versions can sometimes have. So here are my Top 6 Organic Essentials - foods which science tells us deliver some of the most compelling, significant benefits for you, your family, and even our food system- when purchased organically. For my best tips on how to buy organics on a budget, check out my post here. 1) Baby and Toddler Food. Bite for bite, an organic diet for your child is the safer, better choice because of what's not present in organics. Due to smaller body size, rapidly dividing cells, and still developing brain and nervous systems, several prospective studies have found early life exposure to a class of insecticides used in agriculture – called organophosphatesis-are linked with reductions in IQ and abnormal behavior associated with ADD, ADHD and autism. In fact a 2012 AAP report Pesticides in Children cited food as one of the most influential sources for children of pesticides. And the AAP’s Position Paper on Organics notes that organically raised animals are also significantly less likely to be contaminated with antibiotic-resistant bacteria. 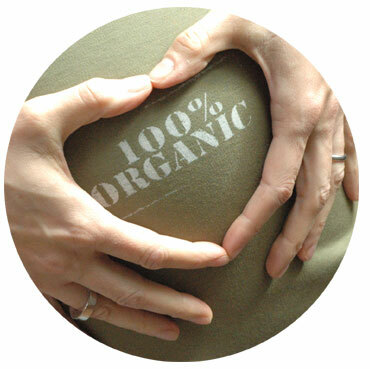 So choose organic for your baby and toddler. It’s a critical window for growth and development where organic matters most. 2) Cow’s Milk & Yogurt. Organic milk-and and its popular cousin yogurt- represent one of the most powerful levers in our food system. That’s because cows are at the top of the food chain (about 70 % of the corn we grow goes to feed livestock), so by choosing organic milk you create a profound ripple effect that helps to shift our entire agriculture system away from things like herbicides, pesticides, hormones and antibiotics. Because USDA Organic Standards require that cows consume at least 30% of their diet from grazing and pasture-this translates into superior, higher nutrient product: organic milk has been found to contain 70-240% more omega 3s, to have a healthier omega 6: omega 3 ratio, to contain up to 50% higher levels of vitamin E, 75% higher levels of beta carotene, and 2-3x more antioxidants (2)(3). And a new study found organic milk contains 20-40% less artery clogging saturated fat than conventional, with significantly higher levels of healthy omega 3 fats (4). If you are following the USDA Dietary guidelines to consume 3 servings a day of dairy, the organic benefits really can add up. 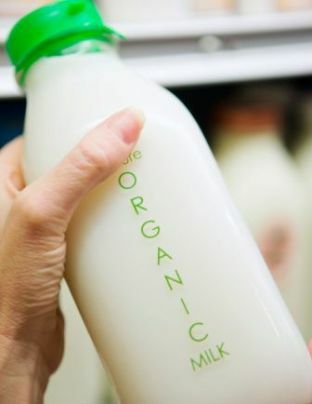 When you choose organic milk, you’re also saying no to added hormones, antibiotics, pesticides or other chemicals in your milk. Many moms are shocked to discover that the rBST allowed in conventional milk in the US (to promote milk production) is banned in the European Union, Australia, New Zealand, Japan and Canada. And score one more for the cows: Did you know that organic cows live 2-3 times longer than conventional? That’s the finding of Stonyfield Yogurt’s Greener Cow Project. Potatoes make my list because about one-third of America’s total veggie intake is potatoes- and it is by far the top vegetable consumed by our children. But potatoes land near the top of the Environmental Working Group’s Dirty Dozen List because they have one of the highest pesticide levels of the 43 fruits and vegetables tested. (Chances are you probably already know about the Dirty Dozen: But it’s a good idea to take a look at this list, which is updated annually, and to try to buy organic versions of the foods you consume the most frequently on this list). 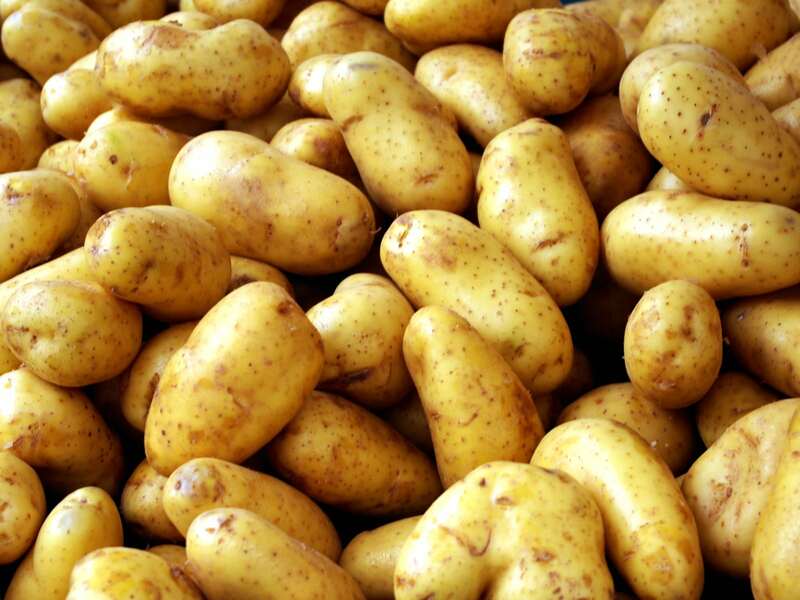 Interestingly, potatoes are also the only PEELED vegetable on the Dirty Dozen list. Why? One reason is because a 2006 USDA study found that 81% of potatoes still contained pesticides even after being washed and peeled. Another challenge: while many root vegetables like potatoes absorb like herbicides, fungicides and pesticides from the surrounding soil while they are growing, potatoes are often sprayed with fungicides again after harvesting to prevent them from sprouting. With dietitians like myself encouraging the public to eat the potato peel as well (for all the fiber and nourishment it provides), given the science-and the sheer amount we are eating and feeding our children- it’s especially critical to choose organic. 4) Beef, Pork and Poultry. Animals are what they eat. Which means that as you move up the food chain choosing organic becomes even more important, as pesticides and toxins tend to bioaccumulate in the fatty tissues of animals. Organic beef must meet the same grazing guidelines as organic dairy (30% of diet from grass or forage), so that even for cows who aren’t exclusively grass fed, ensures that the meat has a better nutrient profile than conventional-including fewer calories, less saturated fat, greater levels of omega-3 fats and CLA. It also ensures that there will be no pesticides and no GMO corn or soy in the feed, as well as no hormones or antibiotics used on the animals. While pork and poultry are prohibited by the USDA to use growth hormones, many of the same other issues apply: a recent study has found that conventional pork contains a significantly higher risk of antibiotic bacteria than organic. Eating an abundance of dark leafy greens, either raw, lightly cooked, or in a smoothie-is one of the single best habits you can cultivate for optimal health and energy. They are deeply nutritious on so many levels. Yet with leafy greens all the rage, and kale in particular enjoying an extended reign as a nutrient powerhouse, it’s worth noting that both of these leafy greens are on the Dirty Dozen list. One of the key reasons is surface area. Think about it: broad, long, flat leaves mean that a heck of a lot of surface area has to be sprayed with pesticides to keep the pests away in conventional agriculture. And while we give em’ a good rinse before we eat, there’s no peeling, and little real scrubbing, because of the delicate nature of eating leaves. So keep eating em' in large amounts-but choose organic. There are 2 reasons berries make the list: Not only are berries also on the Dirty Dozen list- but research indicates that when we raise these crops organically and the plants are forced to fend for themselves, berries actually produce a more robust supply of those prized phytochemicals that are linked with superior human health. Organic strawberries, for instance, have been found have greater cancer fighting antioxidant activity, as well as greater concentrations of phenolic compounds and vitamin C. Another reason? With so many Americans buying strawberries out of season (remember when they were only available in summer? ), chances are good that they are imported. And that most likely means they are coming from countries with significantly less stringent regulations for pesticide use. With berries perennially making the “superfood” lists, if you’re eating them regularly, it’s important that you buy organic.